Dr. Kedeshian is a board-certified, fellowship-trained head and neck oncologic surgeon. He received his undergraduate degree with honors from Harvard University and his medical degree from New York University where he was elected to the Alpha Omega Alpha (AOA) Honor Society. He completed his residency training in Otolaryngology-Head and Neck Surgery at UCLA Medical Center and thereafter completed the NIH-accredited advanced training fellowship in Head and Neck Surgical Oncology at Memorial Sloan-Kettering Cancer Center. 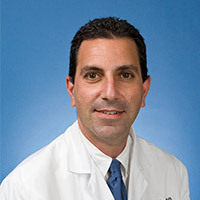 He maintains a very active adult surgical practice that includes a particular emphasis on salivary gland disorders, head and neck oncology (for benign and malignant neoplasms), thyroid and parathyroid disorders and image-guided endscopic sinus surgery for revision sinus surgery, nasal polyposis and benign neoplasms of the sinonasal cavity. There are a lot of different cancers covered under "head and neck cancers;" cancers in the sinuses, tongue, throat, and voice box. Learn about how surgery is used to treat head and neck cancer, and what to expect before and after surgery.